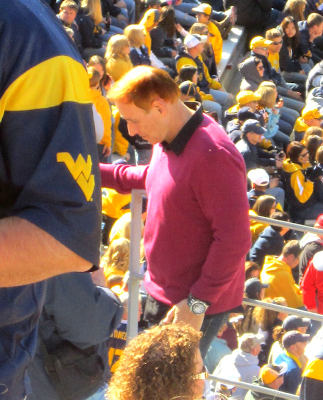 FACT: It's a fashion rule that red heads are not allowed to wear hot pink. Some people still try to pull it off, or at least give it a try, and sometimes it works, but seriously... for the love of America, if you're going to look like this man, put. the shirt. down. 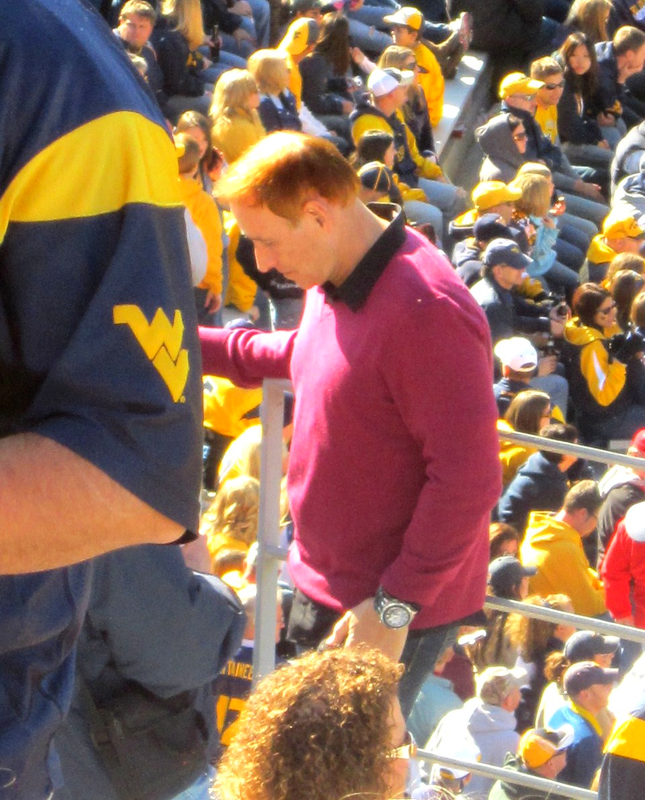 First of all, there was absolutely no reason for him to be wearing this at a WVU/Louisville game in November. Second- he looks like a damn clown. Literally. I mean, it is a beautiful sight, if you're into colorful things... but someone should have told him to turn the lights on while he was getting ready. Sorry I'm so mean to you all the time, gingers... it's all out of love, I swear.